Though I'm pretty devastated that I was not his first choice, it appears that 'Sign of the Times' singer Harry Styles is happy with his new alleged girlfriend, chef Tess Ward. The two were most recently seen together looking happy and relaxed while out for a drive. Harry, my love. Please don't text and drive. Not only is there a fine (which I'm sure you can afford) and 6 points on your license but think of your safety! And the safety of your new love, Tess Ward. But most importantly, the safety of my heart. I don't know what I would do if something happened to you. You can be happy and in love, but be cool about it, Harry, OK? A source told The Sun "As soon as Harry (23) met Tess (27) there was an instant spark between them." Apparently, the source wasn't lying when it comes to bonding over fashion. It appears Tess Ward is wearing one of Harry Styles' shirts in her Instagram photo. I mean, it's totally possible she owns the same shirt, but no, I'm going with the theory that they share clothes because CUTENESS! See that red floral printed Gucci shirt that Tess is wearing? So now that we know they are most likely dating, let's learn a little bit about Tess Ward, shall we? 1. Tess Ward is a chef. According to her site, she describes herself as Le Cordon Bleu trained chef, food writer and author and food Consultant. "My first cookbook ‘The Naked Diet’ celebrates unprocessed ‘naked’ ingredients and this method of stripped back cooking with a riot of delicious dishes that count colours to nourish body and tastebuds. While running tessward.com, I work as a consultant, freelance food, lifestyle and travel writer. Brands I have worked with include Fortnum and Mason, Itsu, Grey Goose, Sainsbury’s Panasonic and Kallo. I have also worked in the kitchens at River Cottage, The Ritz, and often host VIP dinners for clients such as Alice Temperley, Mulberry, Models 1 and other brands. I am also am a certified health coach, with a diploma from the Institute of Integrative Nutrition." It looks like Harry Styles won't have to worry about dinner while he's with Tess Ward; she's got it covered! 2. Why did Tess Ward become a chef? While Tess was studying History of Art at the University of Leeds, she cultivated a taste for cooking while on a tight budget. When Tess was 18 and traveling in India, she caught a parasite that made her reflect on her diet, causing her to make some major changes. She was cured by a clinical nutritionist of the parasitic illness. 3. Did Tess start out as a model? ​In an interview with Phoenix Magazine, Tess Ward said at the age of 19, she did some modeling but it didn't really fill her heart with joy. "When I was 19. I did it briefly but it didn’t really completely sing to my heart so I decided to take a break from it for a while." 4. What are some of Tess' writing accomplishments? The Naked Cookbook is described on Amazon.com as a transformative approach to healthy eating that strips back one's diet to simple, clean, and pure foods that cleanse, restore, and nourish the body, featuring 60 recipes and a chapter on detoxing. 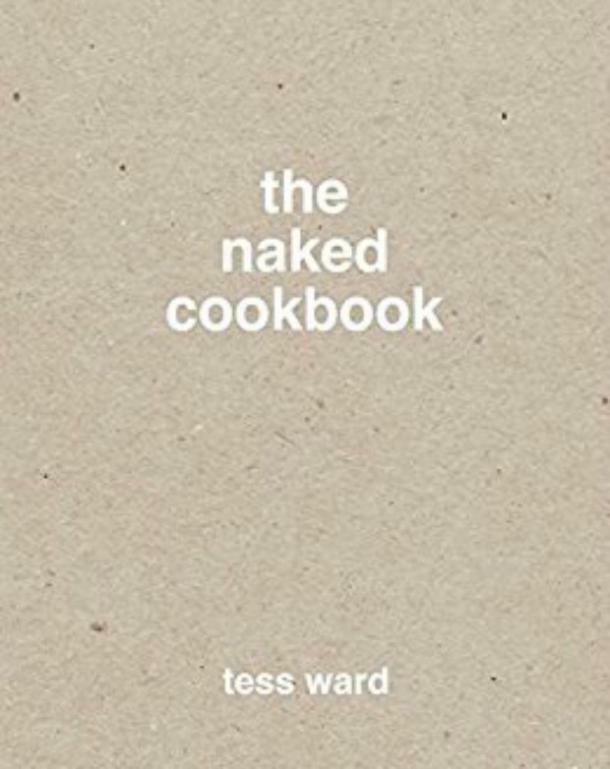 Tess Ward is also the author of The Naked Diet and writes for the popular blog, The YES Chef. 5. Is it possible we may see Tess Ward on TV? According to her LinkedIn profile, she says, "Current projects also include a number of exciting projects in the US and UK." Obviously, this doesn't confirm anything but it does mean that we may see Tess Ward here in the states soon! If so, I can't wait! 6. What is Tess Ward's favorite way to exercise? Sometimes there's nothing better than working out the stress of life, am I right? According to the interview conducted by Phoenix Magazine, Tess says, "I spin once or twice a week, do yoga and reformer pilates. A balance of energising and calming exercise is key!" 7. Tess Ward is HUGE on social media! Tess Ward has nearly 21K Twitter followers and and over 97K Instagram followers. I mean, she's no Harry Styles but the woman does have a pretty nice following! 8. What are some of Tess Ward's go-tos? Tess Ward revealed a lot about what she loves in the interview with Phoenix Magazine. "I’m an impatient cook, so if it’s for me, it’s something quick. I do love cooking breakfast! Baked eggs, pancakes, or waffles ... "
"A good chef’s knife and a decent set of pans." "Leather trousers and oversized jumpers. Exactly the same thing for day and night, with a good bit of bling and a pair of heels thrown in." 9. Will Tess be OK with Harry going on a world tour? Tess appears to love traveling, so when Harry embarks on his world tour (that sold out in under two minutes! ), we may get to see some photos of the couple back stage! That's totally just my opinion ... and wish. If I can't beat 'em, join 'em. 10. What do Tess Ward and Liza Walter have in common? Tess Ward loves her dad and looks up to him to him. When Phoenix Magazine asked who her inspiration was, Tess said, "My dad! Endlessly hilarious and hard-working as anything." I also love my father and he is my inspiration as well. So, Harry likes older women who write and love their dad? Maybe I can be next in line? Sorry, Tess. I love you and all but a woman can dream, right?